Do you have a cabinet full of spices too? We certainly have, even though we only try to buy “basic” spices. This essentially means that we sometimes mix some of our spices together to create some kind of special mix. Like a chinese five-spice powder. It’s very easy, and we’re going to show you how to create Chinese five-spices in this quick tutorial. What is Chinese five-spice powder exactly? It’s a staple in Chinese cooking, and often used in a technique called “flavor potting”. Flavor potting is a way of steeping (soaking basically) in a very rich sauce, and cooked for many hours. The most common used spice mixture? You guessed it: Chinese five-spice powder. Okay, so now you know why it’s so popular. Let’s start by creating our own Chinese five-spice powder. Now all you have to do is to add all of the ingredients mentioned above into the mortar, and start grinding! Grind until it becomes a powder, it really doesn’t matter if there are any hard bits in there. It’s all about the flavor! 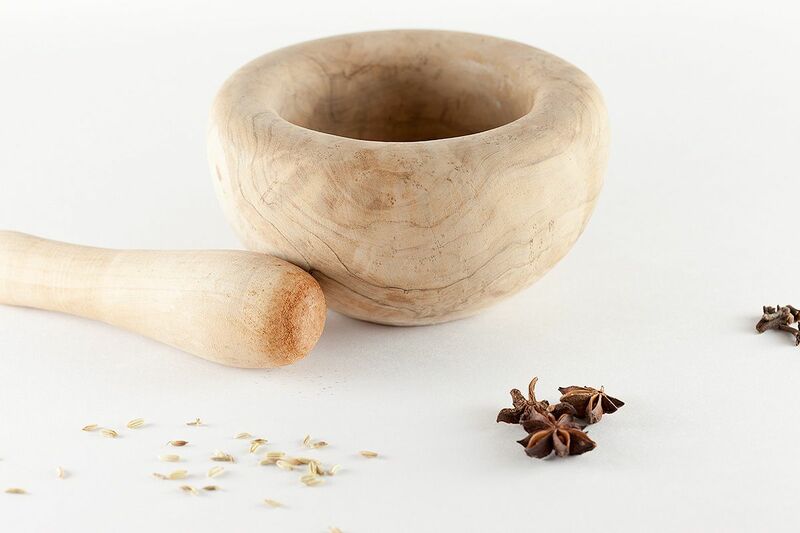 You’ll notice that the Chinese five-spice powder is dominated by the flavor and aroma of the star anise. This is because star anise has such a strong scent. This powder is used in many, many Asian recipes. It happens to go very well with high-fat meat such as pork or duck. For example in our recipe for babi panggang. Just add some salt, and you’ll have one of the best spice rubs for fatty meats. And –if you’re a vegetarian– you can spice up your vegetables by adding a few pinches of this powder to it while cooking. Or try a very easy and delicious homemade hoisin sauce. Enjoy!